Places to visit in Kumarakom- A tour to replenish your soul. Kumarakom, an emerald peninsula opens up into the Vembanad lake. 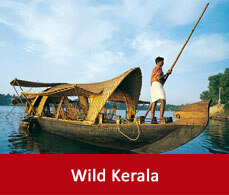 A land of backwaters, Kumarakom is surrounded by streams, lagoons etc. Various flora and fauna take shelter in the water of the lake. Many migratory birds also makes Kumarakom their home as this place is famous for its bird sanctuary. The hotels and resorts which have been built on the shores of the backwaters offers with some best houseboat packages, ayurvedic spas, water sports and canoeing. 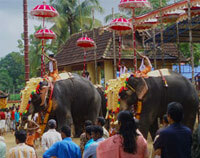 Some of the tourist places in Kumarakom which demands a must one time visit when you are in Kumarakom are listed below. 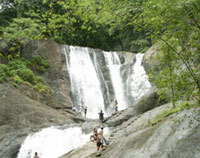 This waterfall is located 18km from Kottayam town and 2km from Kumarakom. It is a picturesque waterfall which is a picnic spot as well. 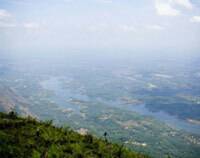 Pathiramanal is an isolating island which is home to various migratory birds on the lake. This is the famous place for the Kumarakom bird sanctuary.But this island is only accessible by a boat. It is an ancient town which has many age old churches. Some of the Kottayam towns are specialised in rubber plantations as well. Not only churches it has some of the famous temples as well. 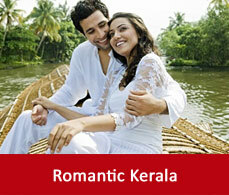 So, Kumarakom sightseeing also includes tour in Kottayam as well. 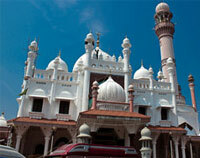 It is a centre of pilgrimage for both the Hindus and the Muslims. 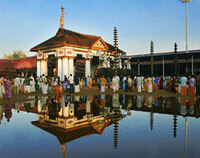 Here the famous Sree Dharmasasthe temple dedicated to Lord Ayappa is also constructed here. 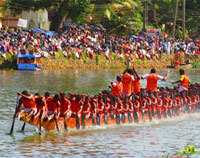 This is the famous site for the Onam festival where the Kerala’s traditional snake boat race took place. During the boat race this whole area is well decorated, th elephants are dresses up in clothes and beads and all the area lits up with glory. This is another picnic spot which is an easy from Pala and is in the midst of the hills. 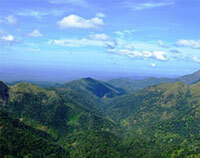 This places is surrounded by tea gardens and is an ideal spot for trekking. 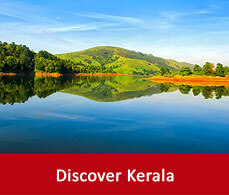 It is 34km from Pala and 64km from Kottayam. This is 40km from Kottayam and the famous shiva temple is housed here. During the festivals in November - December the musical performance is arranged here.